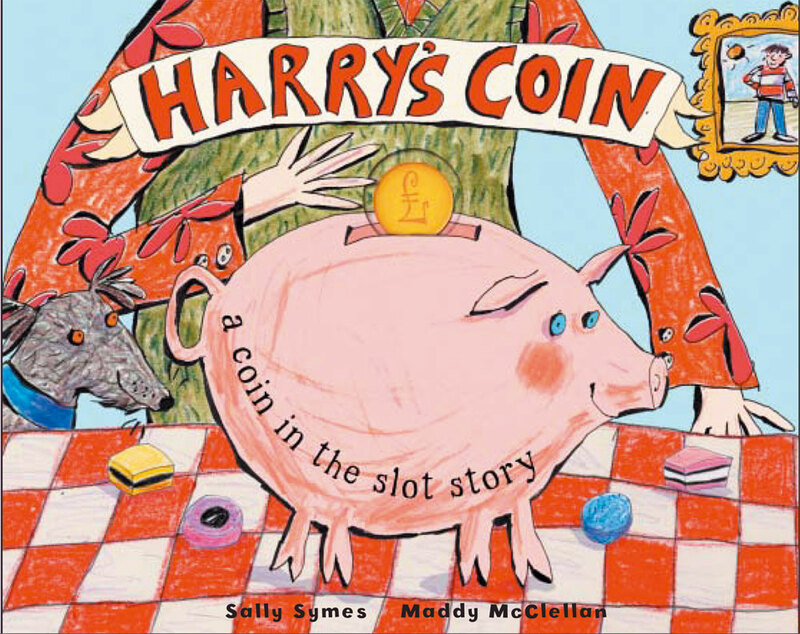 Complete with a real coin, this coin-in-the-slot book follows the wacky journey of Harry's coin. 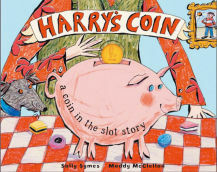 The adventure begins in Grandpa's piggy bank, but who knows where it will end...? 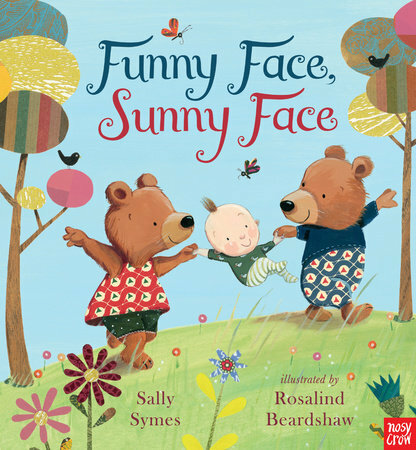 Written by Sally Symes and Illustrated by Maddy McClellan.